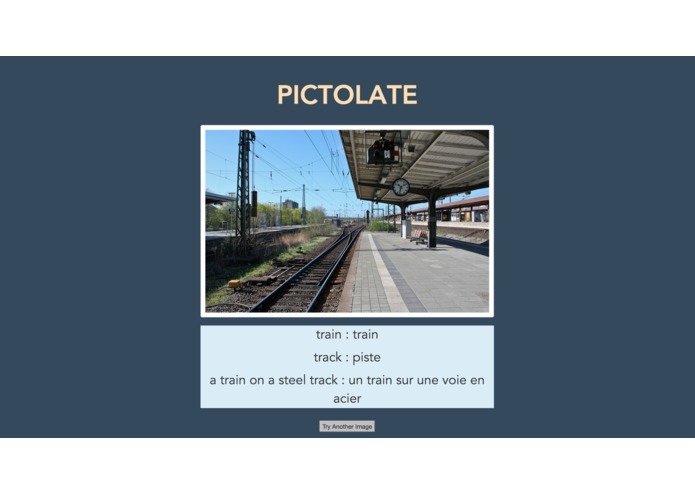 We wanted a way to learn a foreign language by simply taking a photo of an object. 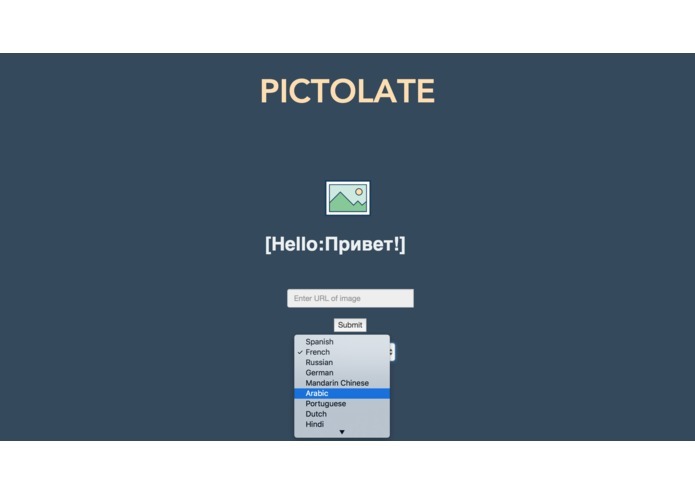 Pictolate is a platform and Web-based application used to take a picture, analyze its contents, and convert it to a foreign language. We did not have enough time to extend our platform to Android and iOS devices, so we were only able to build a Web-based application for now to interact with our platform. 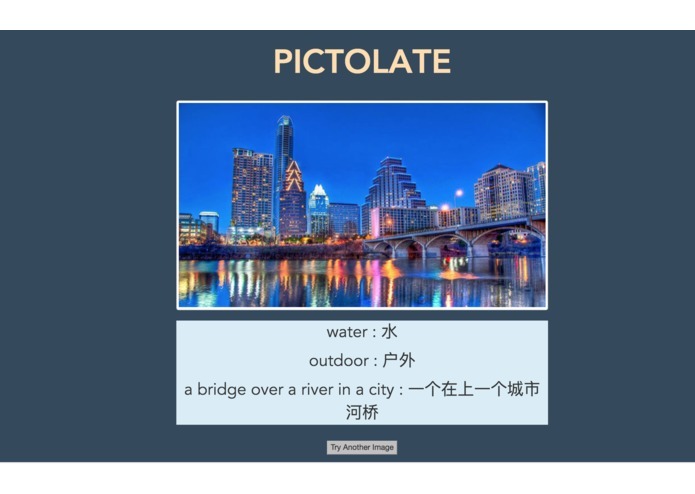 We plan to continue working on Pictolate to host our web server publicly and extend our platform to Android and iOS devices. 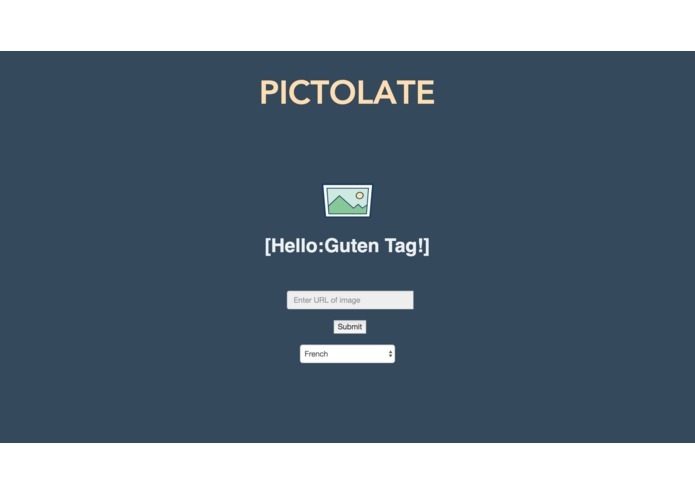 Developed front-end in HTML and CSS, designed the UI, worked on server node.js file, implemented mustache templating, and helped with front-end/back-end integration.